Amboli is a beautiful hill station, which is around 90 kilometers from the Panjim city. 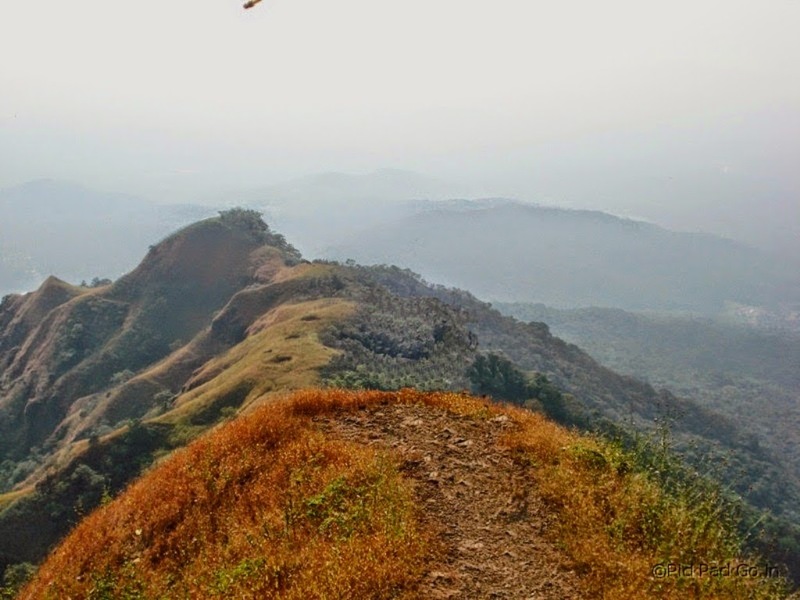 Even though this hill station is located in Maharashtra, one can cover Amboli in a one day trip from Goa. The Drive through the twisted Ghats road would greatly thrill any passionate driver. On reaching the top and looking down on the valley, you feel like you are standing in the heaven on earth. There are multiple viewpoints to experience the sight of the charming valley. Mahadevgad Point offers a view and Kawalesat point is another one. Amboli is rich with diverse flora and fauna. The mountain flowers have a particular charm especially when they bloom against the majestic back drop of the valley. During the monsoon season, the Amboli waterfall grows in beauty and strength. There are a lot of monkeys casually walking around the water fall to take a sip or just to watch the excited people around. They don't mind posing for a photo! There are other destinations like Hiranyakeshi Temple, Swayambhu Ganesha temple, Sunset Point, Rajwada(A Summer Palace in ruins), Nangartas Waterfalls. Beautiful Images, thank you very much for sharing the view.